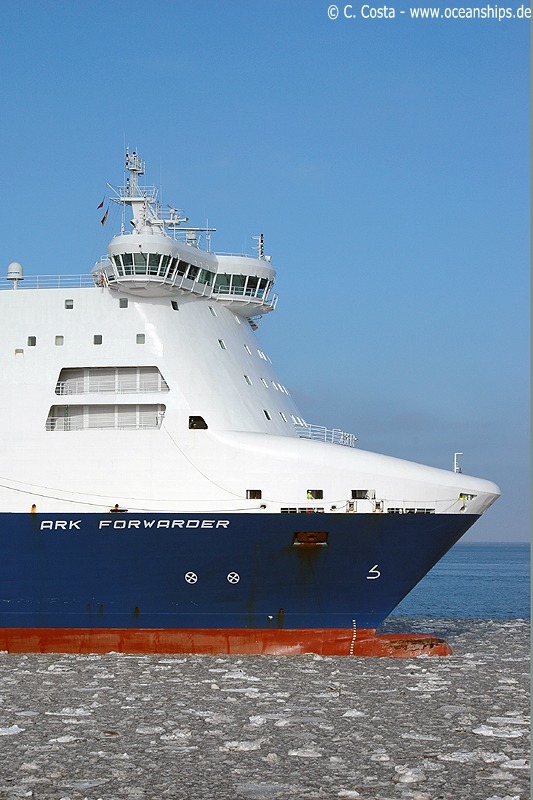 Ro/Ro vessel Ark Forwarder is arriving in Cuxhaven on February 23rd, 2010. 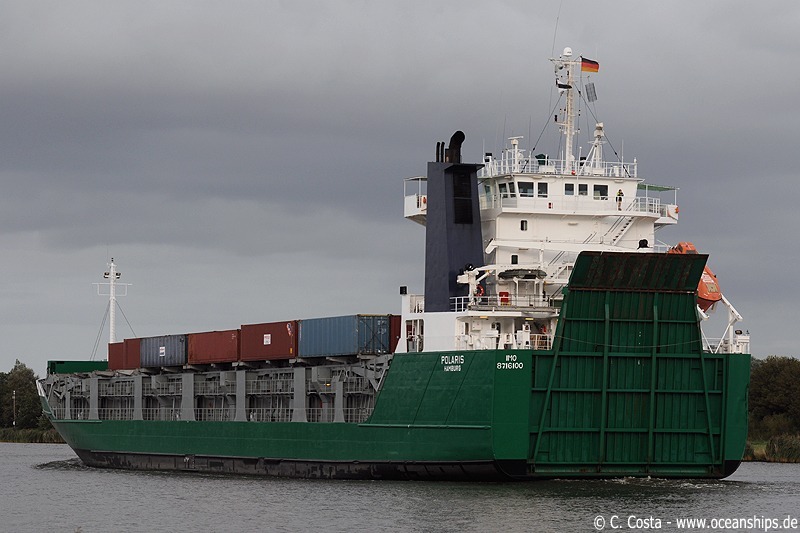 Ro/Ro vessel Tor Bellona is arriving in Cuxhaven on February 23rd, 2010. 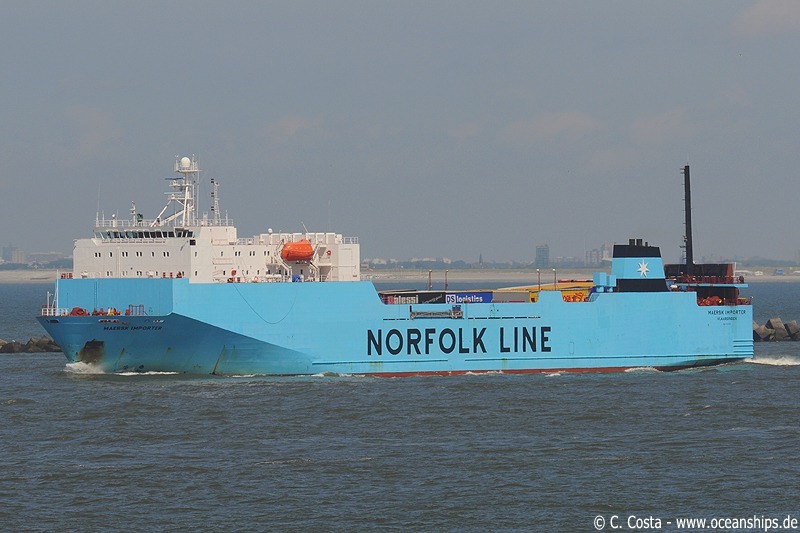 Ro/Ro vessel Maersk Importer is leaving Rotterdam on May 29th, 2009. 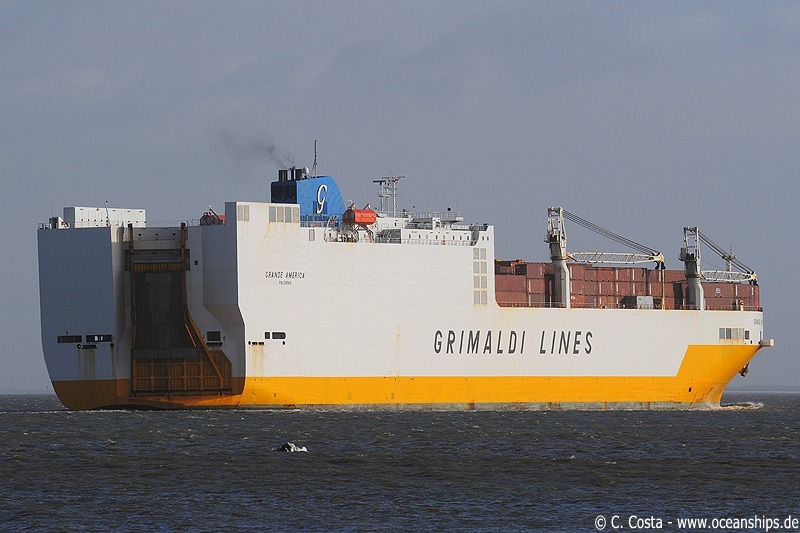 Ro/Ro-Container ship Grande America is passing Cuxhaven bound for Hamburg on February 3rd, 2010. 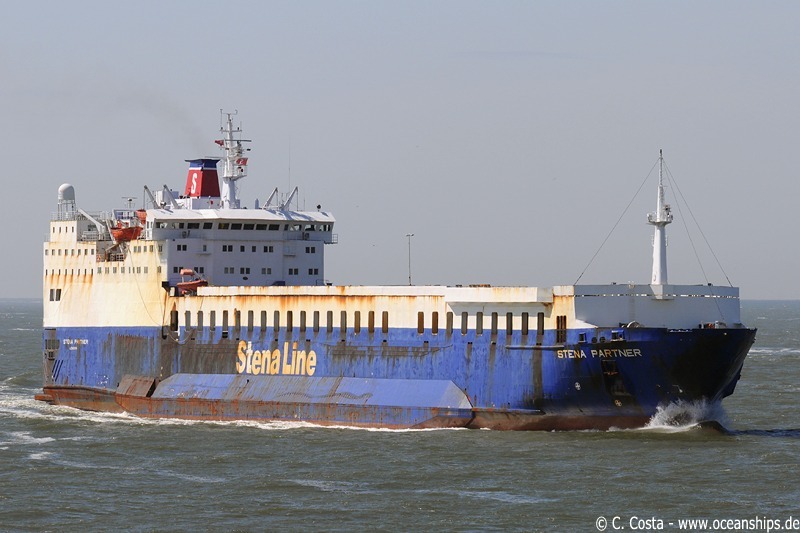 Ro/Ro ship Stena Partner is arriving at the port of Rotterdam on May 29th, 2009. 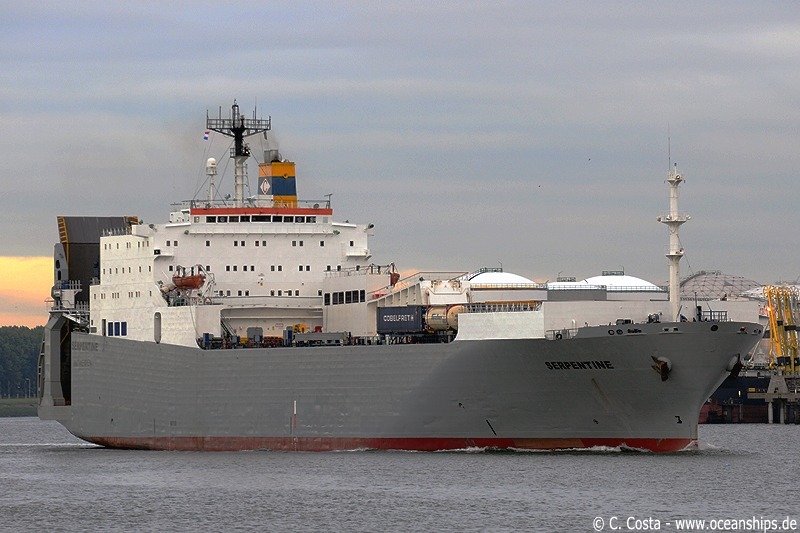 Ro/Ro vessel Serpentine is leaving Rotterdam on May 29th, 2009. 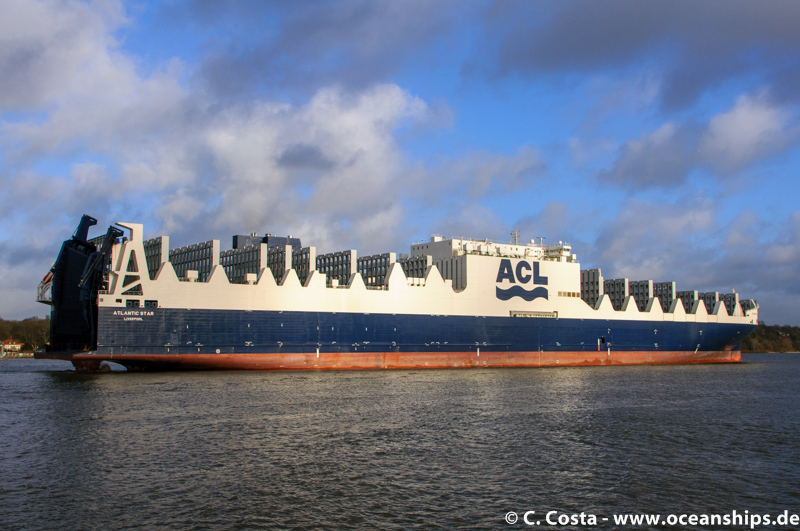 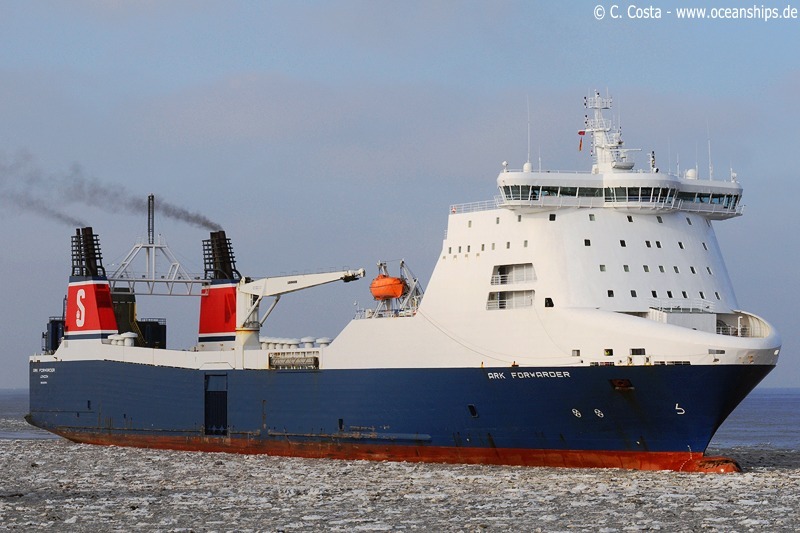 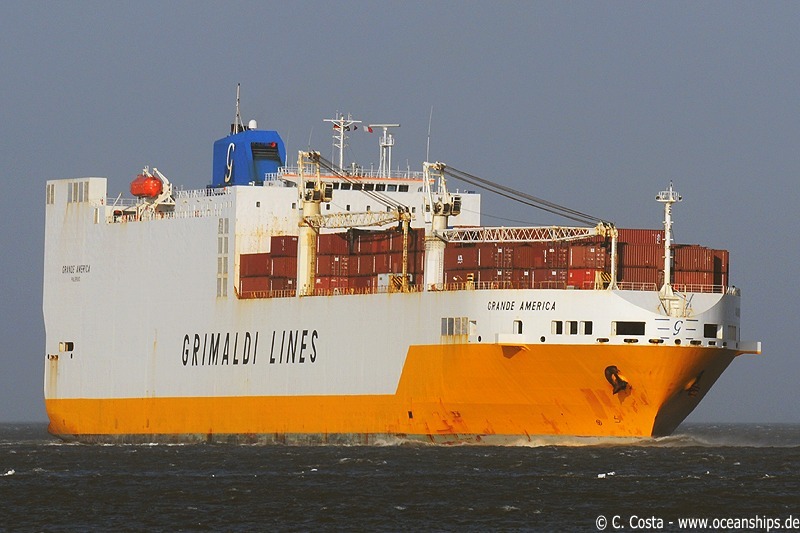 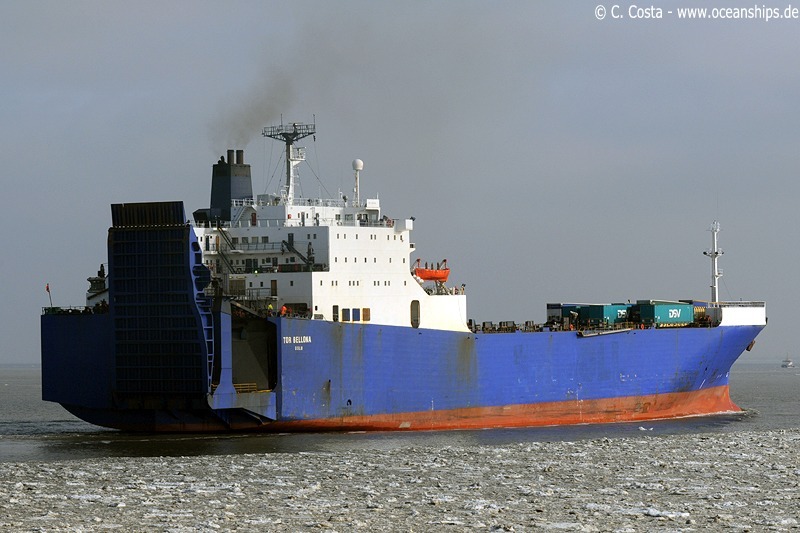 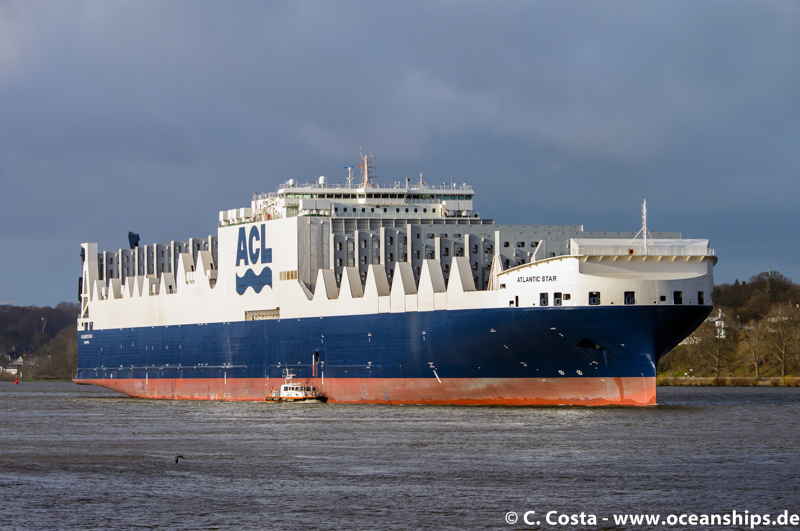 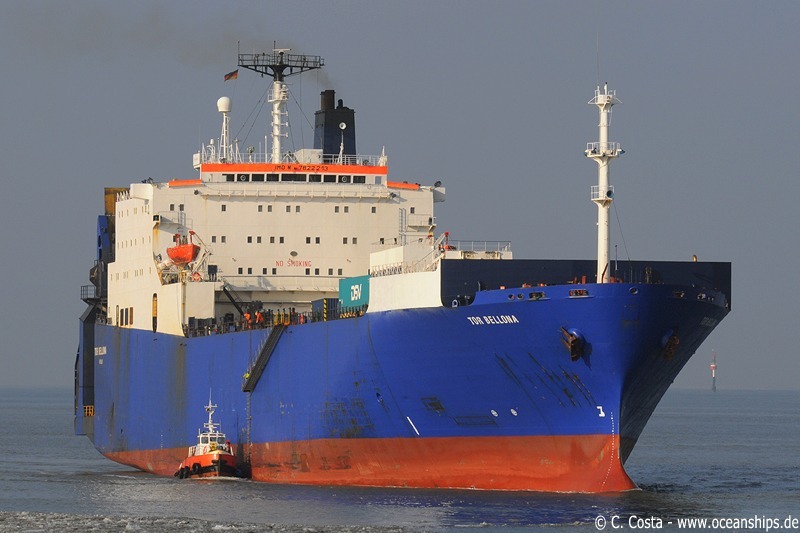 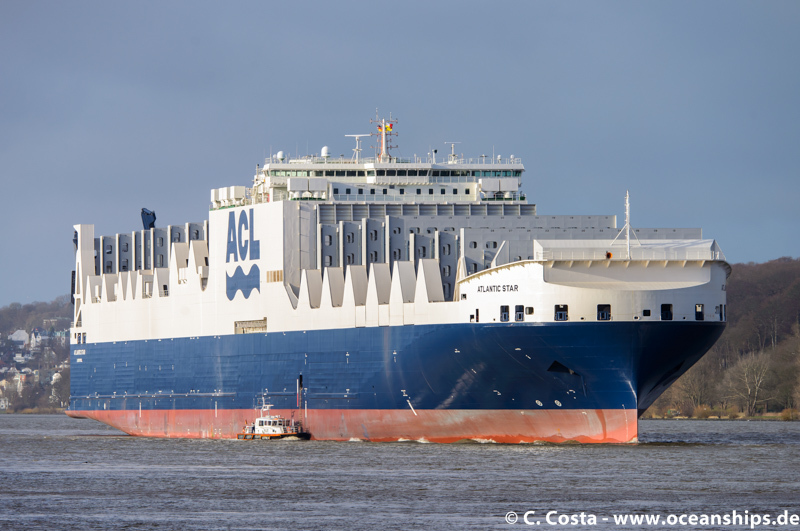 The brand new ro/ro container vessel Atlantic Star is arriving in Hamburg on December 09th, 2015 at the end of her maiden voyage. 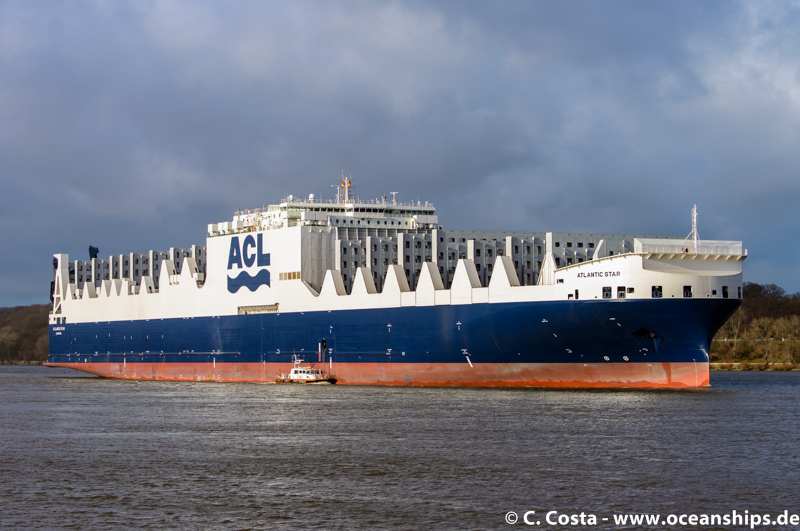 The new vessel is coming straight from its building yard in Shanghai, China and is the biggest conro vessel ever built. 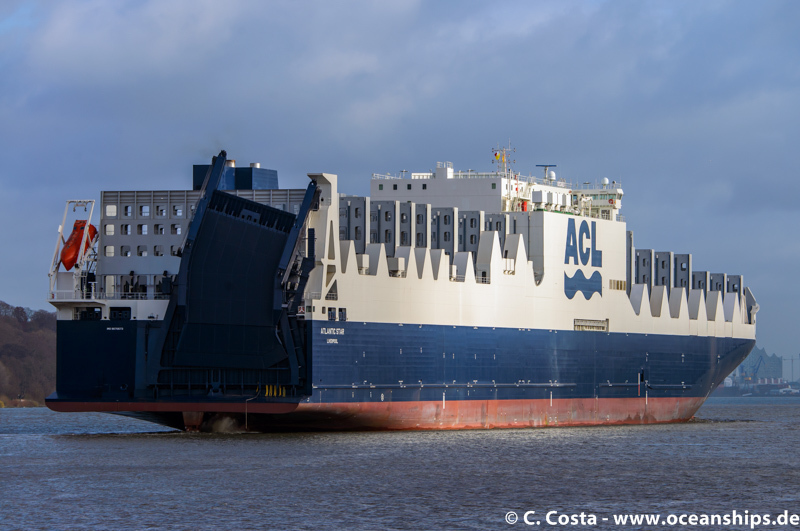 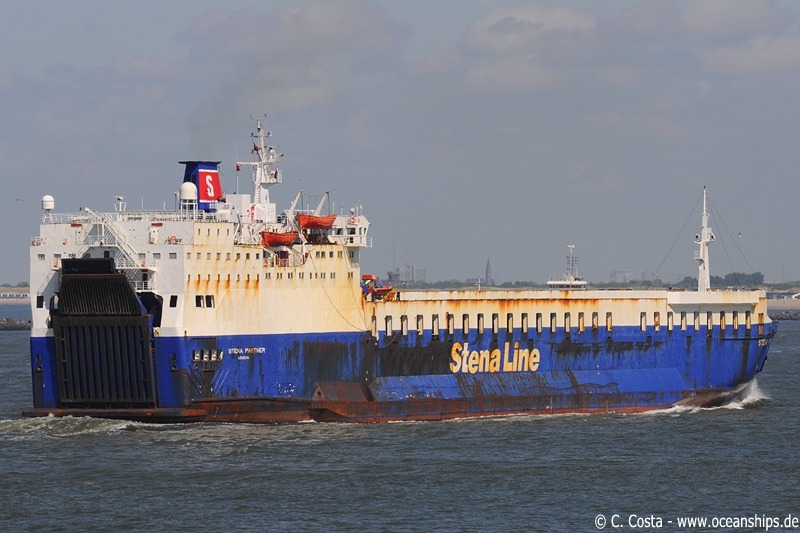 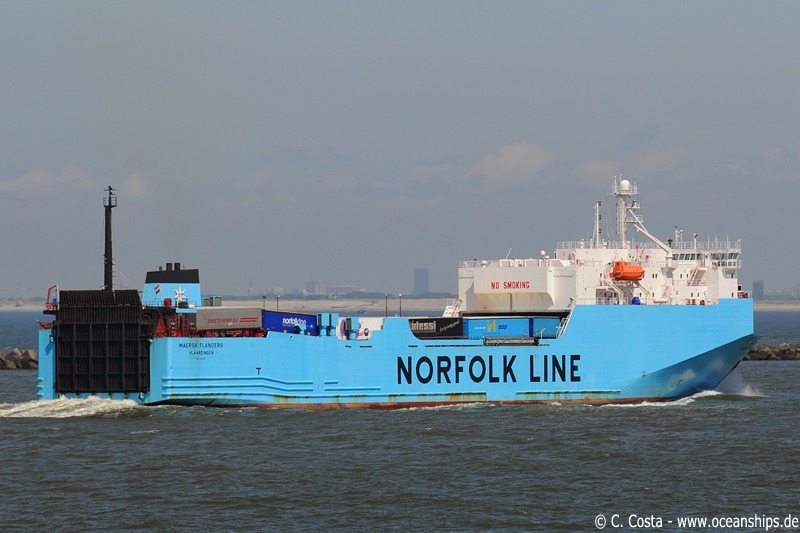 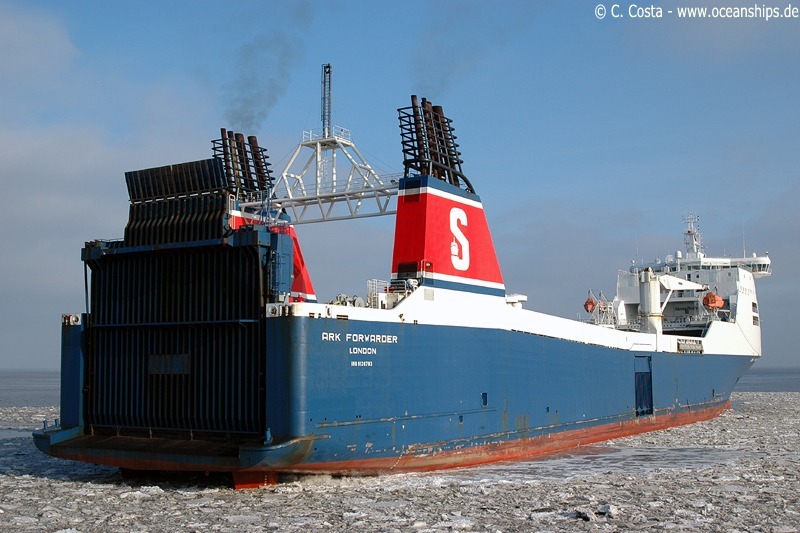 She is due to phase in ACL’s transatlantic service on December 19th. 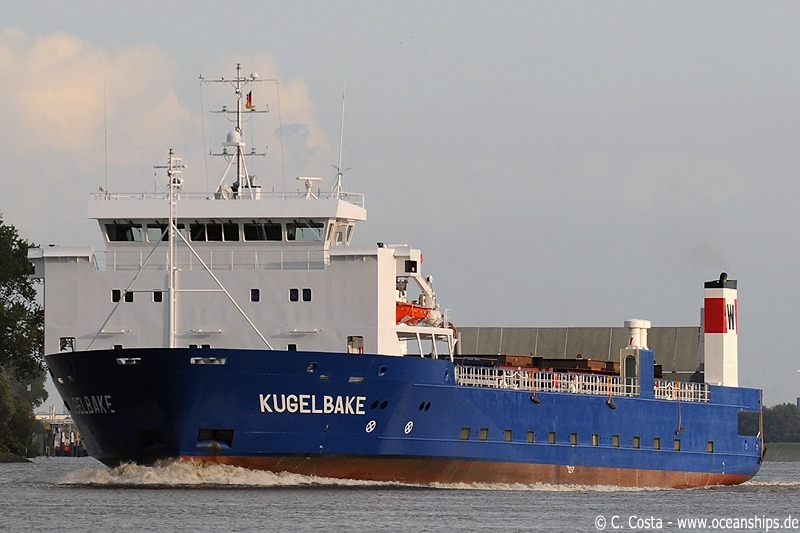 Ro/Ro vessel Kugelbake is passing Bremen-Farge on October 7th, 2009. 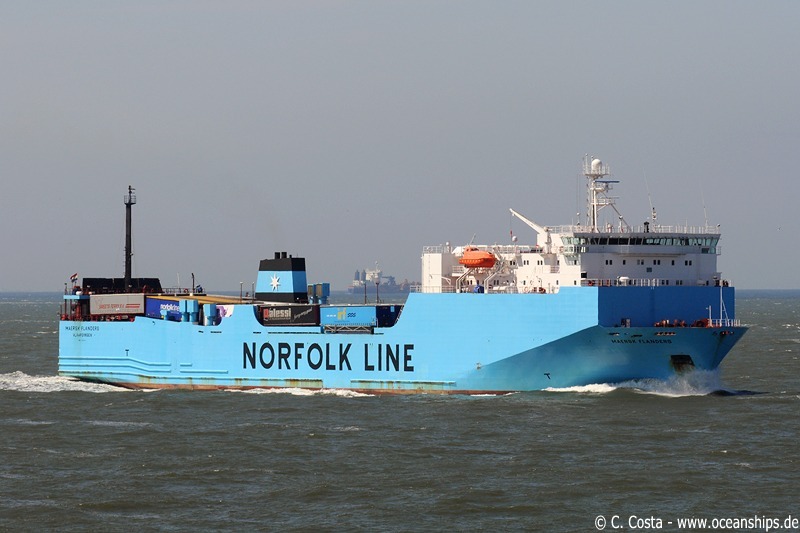 Ro/Ro vessel Maersk Flanders is arriving in Rotterdam on May 29th, 2009. 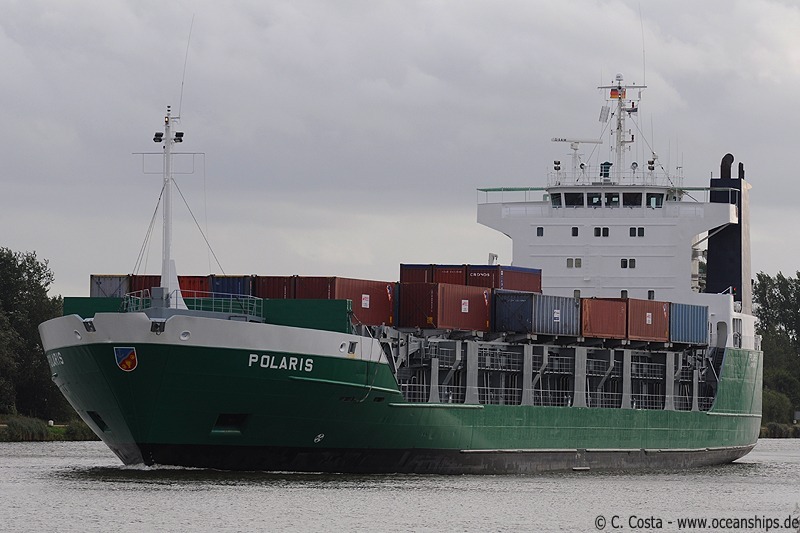 Ro/Ro vessel Polaris is passing Breiholz during an eastbound voyage through Kiel canal on September 5th, 2009.